Recall that when the current imbroglio that followed the pronounced conversion of our highly revered MAPOLY to a University started, I have not said anything publicly. Today, I feel constrained to place on record the most recent happening, on which destiny of thousands of students had been hung. 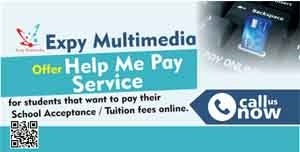 Also remember that NTBE had been billed to visit the site of the proposed take-off campus of the newly established Ogun State Polytechnic, yesterday, Monday, 4th December, 2017. That actually took place yesterday. Expectedly, the Ogun State Government through its fifth columnists have started sing-praising its own 'efforts' over the ongoing construction works at the Ogun State Polytechnic, Ipokia. So much so that there are talks as if the 10-man NBTE team has 'granted' accreditation to the polytechnic. It is however imperative to set the records straight. You deserve to know what played out yesterday. 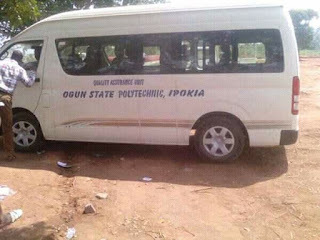 Firstly, there is no accreditation for the Ogun State Polytechnic, Ipokia. 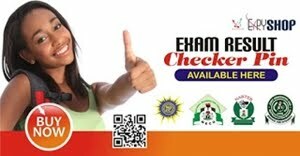 Recall that the Ogun State Governor had sometimes in August been quoted to have said they had approval for '42 courses'. This visit yesterday has confirmed, that was a BLATANT LIE. Everyone and anyone with Polytechnic experience knows that for accreditation to occur, there shall be a team of resource persons (from various Institutions) for various programmes with NBTE staff as support staff for the various teams - this did not happen at Ipokia. Though, some widely experienced technocrats are also involved in institutional accreditation, the 10-man team to Ipokia is an ADVISORY TEAM who lacks powers to accredit an institution or its programmes. Therefore, the essence of the visit ab initio is for the government to attempt a 'shortcut' which in the end, amounted to a share waste of funds and resources. Contrary to the widely circulated reports, the head of the team, Engr Nuru Yakub is NOT the current ES of the NBTE. The team, while at Ipokia observed the virgin land at the permanent site and the 'mad rush' for the completion of the 'temporary campus' which it also observed does not have the necessary facilities upon which an accreditation can be granted. It was credited that about 3 members of the NBTE team openly condemned some activities; including but not limited to the location of the hostel accommodation (which is just at the digging level), the time length it will take for the facilities to be completed, the very notable absence of crucial facilities (Library, Health Centre, Sports Complex, etc) that should have accompanied even the temporary campus. How do you teach Polytechnic students without STUDIOS, LABORATORIES and WORKSHOPS? None of these are yet available. You can be sure there is even no MASTER PLAN. In all, there was no TIME, all through the exercise yesterday, that the team leader failed to indicate that their visit (which was forced upon them by the Ogun State Government who paid to NBTE for the visit) was ADVISORY and that useful advise will be given. Why then is the government trying to confuse our people? 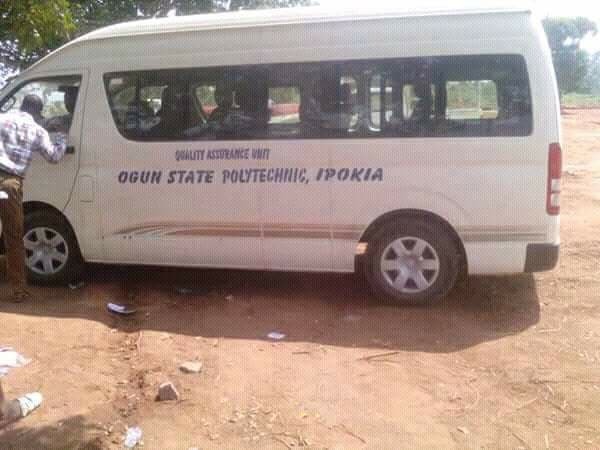 A look at the hurriedly printed students' handbook of the Ogun State Polytechnic, Ipokia will vindicate this write up wherein various degrees of errors could be observed. Ranging from 2 Directors of Environmental Studies, to a Town Planner heading the School of Business Administration, and some programmes listed as courses and others as programmes. Is this the best we can do for the 'Gateway State'? I also wonder if, after the visit, the buses of MAPOLY re designated to OGUNPOLY buses for the purpose of the visit will be rechristened back to the original owners (MAPOLY). Can't the state government afford to buy buses for the Institution they created? I wonder if same will be done when the NUC comes calling for the resource inspection of MAUSTECH! I have spoken that ye may know, correct the wrong impression already being created that the institution has been granted accreditation. Unsuspecting students, parents and members of the public be WARNED!